Location, location, location! 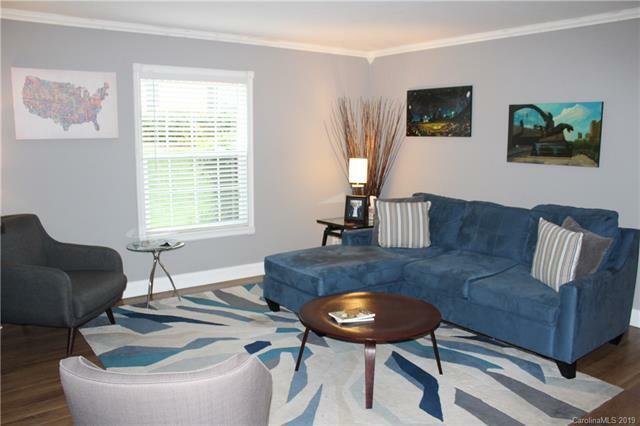 Completely renovated 1-story condo with new flooring, new windows & doors. Crown molding & neutral paint throughout. Kitchen has tile backsplash & all brand new appliances. Spacious bedrooms. Updated bathrooms with new vanity & tile shower. Laundry room with built-in cabinets above for storage. Covered back patio perfect for relaxing. Walking distance to restaurants & shopping. Sold by Roby Realty Inc. Offered by Roby Realty Inc. Copyright 2019 Carolina Multiple Listing Services. All rights reserved.